It was December 2017 when I first started my search for a summer internship in design. At that time, I was a third-year undergrad studying Communication and Professional Writing at UC Santa Barbara but was not part of a formal design program. I was faced with the unique challenge of designing my own career path—an opportunity that allowed me to take ownership of what I wanted to learn and where I wanted to go. There were two things I knew as I started my job search: I was looking for a mission-driven company and I wanted to work somewhere that would empower me to hone my craft. As I browsed through several job listings on our university career search tool, I found a graphic design internship role at Apeel Sciences. After learning about Apeel’s promising technology to address food waste, I immediately submitted my application. In January 2018, I successfully completed my first-round interview, and after coming in for my final portfolio review later that month, I was extended an offer that allowed me to officially start my internship in February. In the past year, I’ve learned more than I imagined possible as the first design intern at Apeel. Before I began the internship, my graphic design journey began during my second year at UC Santa Barbara. I was a project management intern for UCSB’s Department of Recreation where I planned end-to-end execution of digital marketing campaigns with a team of graphic designers. Working this closely with designers on a regular basis naturally allowed me to learn some of the basics of design. Vocabulary like typography, color theory, and the golden ratio soon became second nature to me. Witnessing the design process second-hand as a project manager was enough to pique my interest and, before I knew it, I had started working on my own personal design projects. The more I immersed myself into a creative role, the more convinced I became that design was my calling. I started to understand design less as a means to an end and more as an intentional, empathetic, and nuanced approach to communications and problem-solving. I have always been a firm believer in the idea that you are a product of the people you surround yourself with.  Receiving an internship offer from Apeel Sciences meant I would be joining a world-class organization united against food waste. The internship program at Apeel Sciences has given me a platform to seek guidance and mentorship from some of the brightest minds in the world—from biologists to marketers to strategic planners and beyond, each of whom holds a different set of skills, experiences, and stories to draw from. One of the best parts about working at Apeel Sciences is our professional development program. In this program, our company invites distinguished speakers to host engaging discussions on topics such as writing, public speaking, personal finances, life-coaching, entrepreneurship, and more. From industry leaders to professors, and even our remote colleagues in other geographies, Apeel Sciences’ professional development program provides interns and employees with a wellspring of knowledge and the space to interact with our esteemed guests. As a bonus, food is almost always catered for these events! The wide-breadth of creative projects I have been able to take on as an intern has enabled me to become more versatile as a designer. Over the past year, I have been given the opportunity to work on infographics, posters, presentation decks, company swag, motion graphics, and signage for Apeel produce that can be seen in grocery stores in the Midwest. The project I have been most proud of contributing to has been leading product design for the Apeel Sciences website. This project entailed creating and maintaining a design system that would capture brand consistency and deliver a seamless end-to-end user experience. This has been my favorite project by far because it has challenged me to be more mindful about cultural relativism and accessibility as our company scales to a more global audience. Here at Apeel, we live and breathe values that encourage us to be proactive, with deep support and the resources to do so successfully. After spending a year as a design intern, I can say with clarity and confidence that joining Apeel Sciences has truly been the most impactful decision I have made in my undergraduate experience. This article is dedicated to my mentors Sooze, Alena, Molly, Natalie S., Michelle M., and Michelle S.